Please note that this is an example pallet only. These pallets are sold as part of a self-selected mixed container load. Click HERE for information about the export service which we offer. 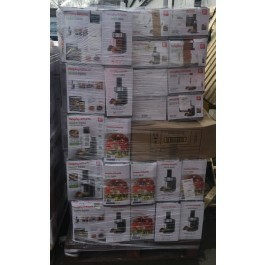 Morphy Richards spiralizer raw return pallets for export. Raw returns are items that high street retailers (eg. Argos, Tesco, Asda etc.) can't sell for various reasons. This may be because the goods are surplus stock, failed mail order delivery, end of line, discontinued models, 30 day customer returns, unwanted gifts, faulty, parts or accessories missing, manual missing, or damaged boxes and packaging. 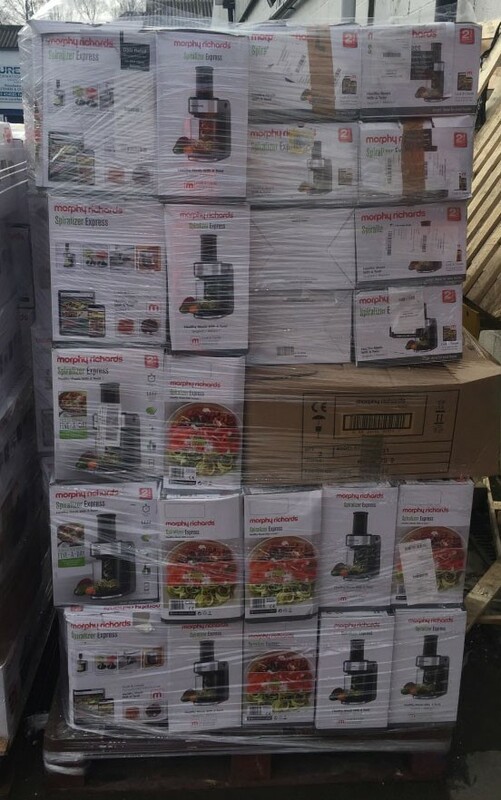 These items are sold as seen at a discounted price, with on average 80% in good working order. © Branded Housewares Ltd 2019. All Rights Reserved.